I did a post about this song Mi Cacharrito (my little car) almost 2 years ago, if anyone remembers or not. Anyway, I was literally given an alternate cumbia version of the song on 45 about 30 minutes ago from friend and colleague El Dj Roger Más. You see, I made him a fried egg sandwich at my house for which I was given a 45. Mi Cacharrito is basically about a guy who needs work on his large Cadillac, so the shop loans him a small car (like a vw bug). He finds out that all the girls love him because his small car, thus refusing to return it. Nevertheless, the 45 is pretty banged up, so sorry for all the skips and scratches. Maybe the egg sandwich trade wasn’t so good after all. Just kidding. I tossed in the B side for good measure. On a side note, if you haven’t noticed already, both songs have accordion impressario Anibal Velasquez on them. Enjoy. i need to tape this onto a cassette over and over for listening in mi cacharrito. ¡sabor! 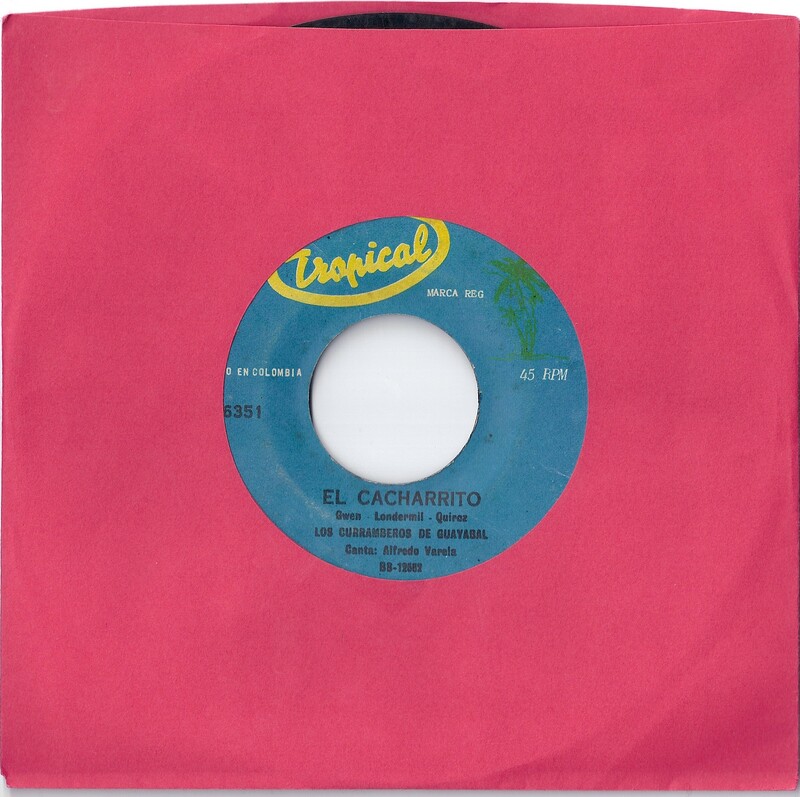 flipside is also a cover, heard this one listed as “mira mira” and also “el pompo” (mario cavagnara y sonora sensacion and others). good isht as always, thanks!